Apologetics Press - Can't Get Much Stronger Than That! Can't Get Much Stronger Than That! You’ve probably read or heard the story of Abraham offering Isaac in Genesis 22. The Bible says that “God tested Abraham.” “Tested” means that God was giving Abraham an opportunity to have his faith in Him made visible so that he could realize the strength of his own faith in God. 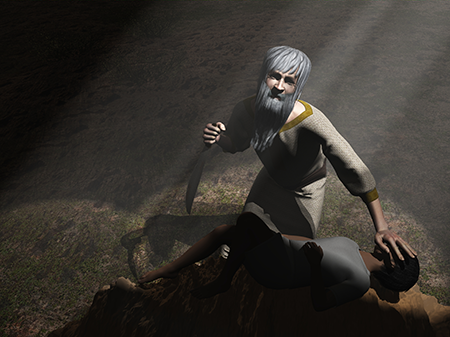 God never intended to have Abraham kill his son. But when Satan “tests” people, he is trying to “trip them up” and get them to give in to sin, like when he tempted Jesus in Matthew 4. But God never does that! “Let no one say when he is tempted, ‘I am tempted by God’; for God cannot be tempted by evil, nor does He Himself tempt anyone” (James 1:13). God wants everyone to be saved, so He would never tempt a person to try to get him to sin. Keep in mind, also, that God already knows how we will react to those moments when we are being tested. Abraham’s faith in God was so strong that he got up early the next morning, made the preparations for the offering, and headed out with his son Isaac and two others to go to the place that God would show him. On the third day of travel, Abraham arrived in the area and told the two young men to stay with the donkey while he and Isaac went further in order to worship God. Being an obedient son, Isaac went right along with his father, carrying the wood for the burnt offering. In fact, when they arrived at the sacrificial site, Abraham built an altar, arranged the wood on the altar, and bound Isaac and laid him on the altar—yet Isaac complied with his father’s actions. When Abraham raised his hand to kill his son, the angel of the Lord spoke from heaven and ordered him not to harm his son. The angel noted how Abraham’s willingness to offer his son was proof that he respected God and was willing to obey Him. Think about how Abraham’s strong faith was seen in three ways: (1) he told the young men who traveled with them to remain with the donkey and he and Isaac would “come back,” showing that Abraham believed that Isaac would survive the sacrifice; (2) when Isaac asked where the lamb was that would serve as the sacrifice, Abraham answered, “God will provide for Himself the lamb for a burnt offering,” suggesting that Abraham did not believe God intended for Isaac to be killed, but would provide a lamb; and (3) we learn something about what Abraham was thinking—what was actually going on in his mind—when the Hebrews writer stated Abraham had concluded “that God was able to raise him up, even from the dead” (11:19). In other words, knowing that Isaac was the son that God promised through whom a great nation would arise, even if Abraham killed the boy, God would simply raise him from the dead! Wow! That’s incredible trust in God! 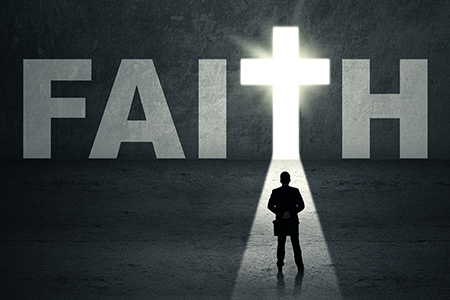 Indeed, Paul explained that Abraham “did not waver at the promise of God through unbelief, but was strengthened in faith…and being fully convinced that what He had promised He was also able to perform” (Romans 4:20-21). Isn’t it amazing how God planned for historical events to foreshadow His incredible plan to bring Jesus into the world and offer Him as a substitute Lamb for our sins!? Think about these five: (1) Isaac carried the wood that was to be used for his death, even as Jesus carried His own cross; (2) Abraham saw a ram caught in a nearby thicket by its horns and used this sheep as a substitute sacrifice, even as God used Jesus as a substitute sheep for us—as John announced: “Behold! The Lamb of God who takes away the sin of the world!” (John 1:29); (3) Some think that the Moriah where Abraham offered Isaac (Genesis 22:2) was the same Moriah where the Temple was built in Jerusalem (2 Chronicles 3:1), and where sacrifices under the Law of Moses were carried out. The same location is also linked to Jesus’ death when the Temple curtain was torn from top to bottom at the moment Jesus died (Matthew 27:51); (4) Isaac is said to be Abraham’s “only begotten” son (Hebrews 11:17)—the same word used to describe Jesus (John 3:16); (5) And did you notice that when the Hebrews writer tells us that Abraham believed God could raise Isaac from the dead, that is precisely what He did with the body of Jesus?! Abraham had strong faith. 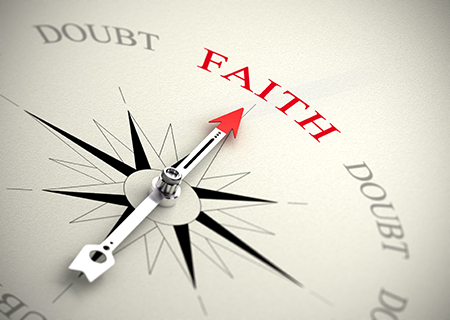 Faith and trust in God can’t get much stronger than his faith. James also commented: “Was not Abraham our father justified by works when he offered Isaac his son on the altar? Do you see that faith was working together with his works, and by works faith was made perfect?” (2:21-22). 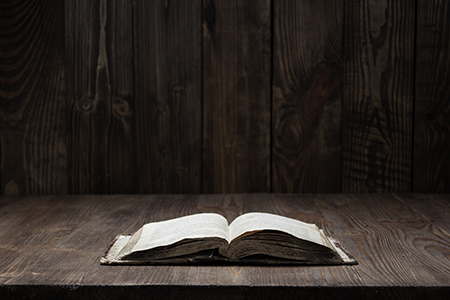 You and I can have that kind of faith, too—if we will study God’s Word and then take God at His Word (Romans 10:17).